Okay y'all are you ready to hear a story? Well, there was supposed to be two different Christmas cookie recipes on the blog this weekend and instead I am sharing fudge. Yesterday, I tried to make about 60 cookies for both Sweet Saturday and to give to friends in decorative bags. However, after hours of making the dough from scratch and rolling them out, and placing them carefully on the pan, the recipe I was following had incorrect baking times and they came out burnt. 60 cookies. In the trash. So I sat down vented a bit and decided to make gingerbread cookies. You are supposed to make the dough and set overnight, however, I made a few substitutes for ingredients I didn't have which may have stretched the recipe a tad. And what do you know. The batter came out all gooey and smelled nasty today and I couldn't use it. SO anyways, Momma to the rescue had a recipe for me to bake & share with y'all today. 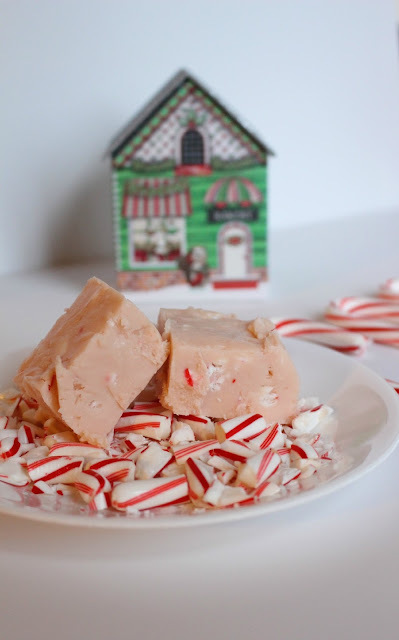 Peppermint White Chocolate Fudge. Yes you heard me correctly. This tastes very sweet and very delicious!! 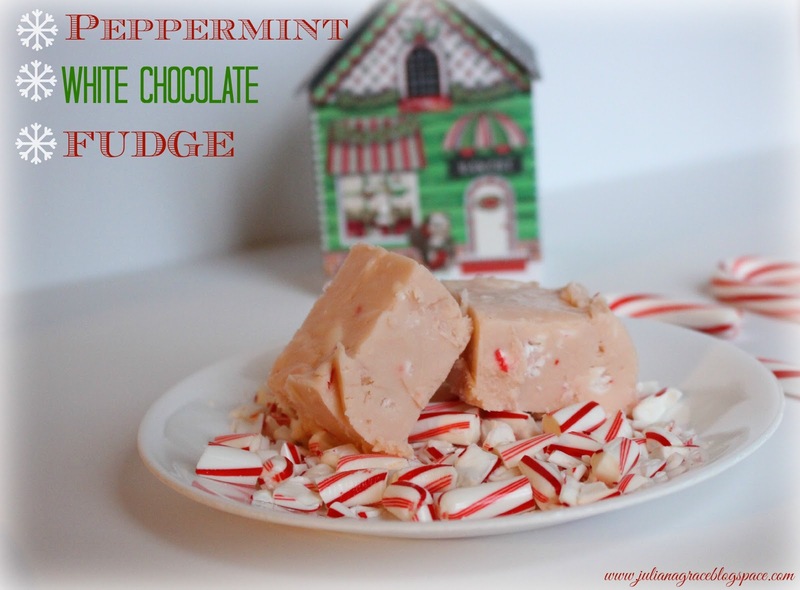 In a large saucepan, combine sugar, cream, butter, & salt. Heat over medium high heat and bring to a boil, stirring continuously. Continue boiling for 5 minutes, while stirring. Remove from heat. In a large mixing bowl, add marshmallow cream and white chocolate chips. Pour hot butter mixture into the mixer and stir until smooth. Allow to set in the fridge for 4 hours before cutting and serving. There you go a really easy recipe to make even in the midst of a baking curse on my house! P.S: If you would like information on a baking link up that myself and Katie will be hosting soon, then leave your email in the comments. I would love for you to join us!